I was asked by Adam&EveDDB to contribute an illustration for their ‘Be Bold for Change’ exhibition in connection with International Women’s Day. In western society, the media makes women see other women as competition, we judge other women on their appearance and are constantly comparing ourselves to each other. However, in today’s challenging society, we need to be supporting each other more than ever. My illustration explores the idea that strong women support and empower other women, rather than demoralising them. Women across the world bear the brunt of inequality, oppression, financial dependability and other injustices, and it’s only by women taking a stand for other women that we can make a change. 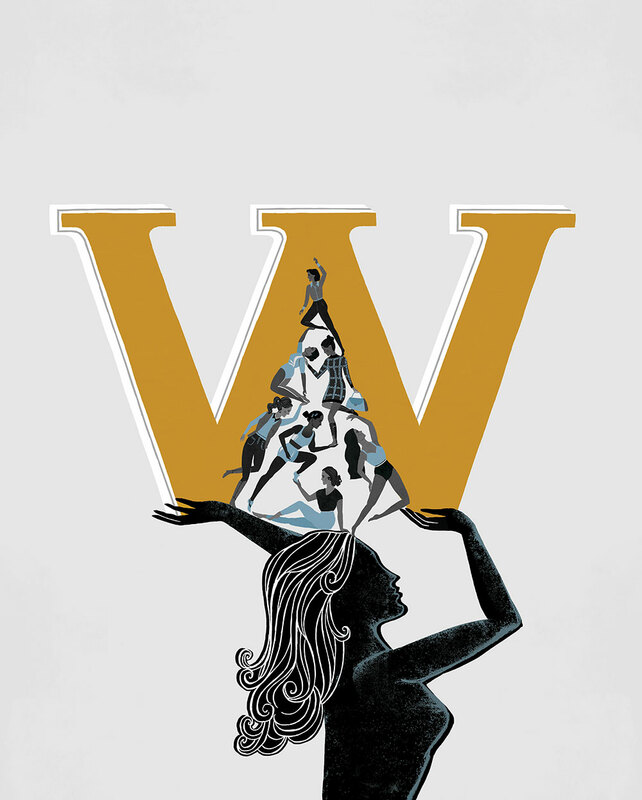 The women in my illustration are supporting each other, enabling each to gain new heights in their careers and life, their combined efforts are in turn supporting the ‘W’.